Dean Delaney; Sean Byrne, Stephen Paisley, Andy Boyle, Ian Ryan; Barry Clancy, Colm James, David Cassidy, Kevin Dawson, Brendan McGill ( Philip Gorman 63 mins); Philip Hughes (Davi De Silva 89). Gary Rogers; Ian Bermingham, Conor Kenna, Evan McMillan, Derek Pender; Derek Doyle (David McMillan 86 mins), Stephen Bradley (David Mulcahy 89 mins), Shane McFaul (Paul Crowley 70 mins), Anthony Murphy; Danny North, Daryl Kavanagh. 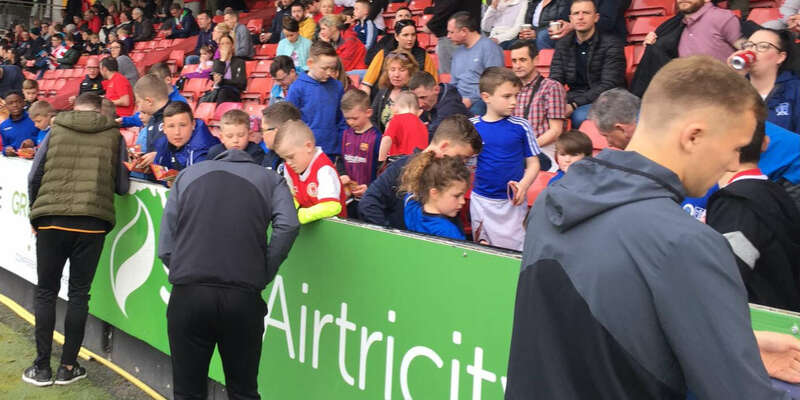 Shelbourne and St Patrick's Athletic must meet again after their FAI Ford Cup semi-final finished all-square before a crowd of 2,538 at Tolka Park. 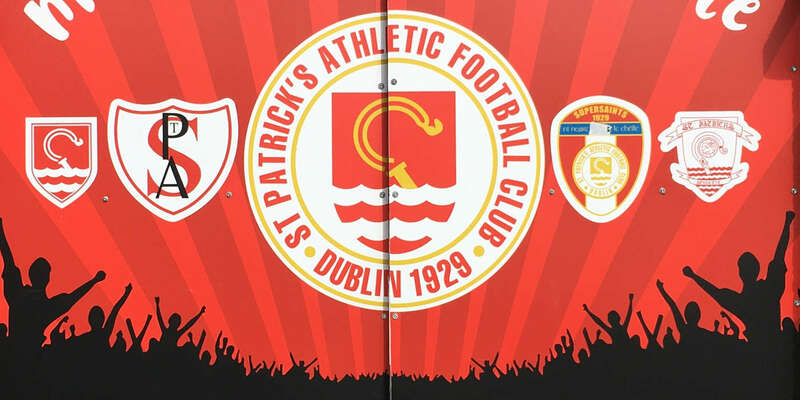 Danny North fired St Pat's into the lead on 41 minutes before Shels' task was made much harder when Colm James was sent off just two minutes later after he kicked out at Anto Murphy. 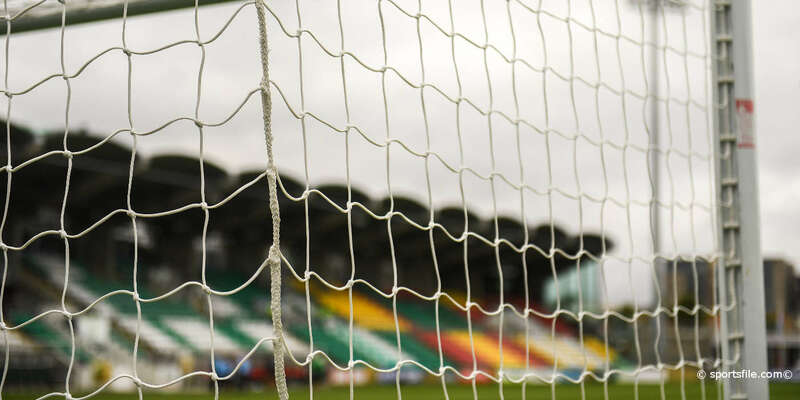 However Shels fought back gamely in the second-half and Philly Hughes struck on 72 minutes to set up a replay in Richmond Park on Monday night. 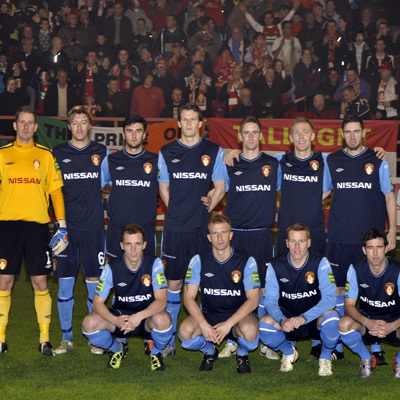 An exciting game on the banks of the River Tolka saw both sides up for it from the start. Pat's had their first chance to open the scoring on eight minutes when Daryl Kavanagh fed North from the left of the area but goalkeeper Dean Delaney dived well to his right to save North's shot at the post. Shels then enjoyed a spell of pressure that should have brought a goal. Hughes went very close with a powerful header on nine minutes that was blocked by Pat's keeper Gary Rogers, before Hughes unleashed a drive from the right of the box that flew wide of Rogers' far upright. Pat's fought back and Delaney made an fine save on when he dived low to his left to block Stephen Bradley's thunderous free-kick from 25 yards out. Bradley fired another free-kick on target, on the half-hour mark, but again Delaney was equal to the task, this time saving to his right. Pat's had another decent opportunity shortly after that when Ian Bermingham swung a cross in from the left for Murphy but that Pat's man headed over. The Saints were starting to turn the screws and that pressure told 41 minutes when Stephen Bradley's free kick was only half-cleared by Cassidy and the ball fell perfectly for North to smash his shot past Delaney. Shels were left an uphill battle when James was sent off just before the breal after he and Murphy went for a ball and landed in a tangle on the ground. James' stupidly kicked out at Murphy while on the ground and referee Anthony Buttimer showed James a straight red card. The home side came out with real intent after the break very nearly got right back in proceedings when Stephen Paisley's long curling ball from deep on the wing nearly deceived Rogers. The ball looked to be sneaking into the top right corner of the goal but Rogers backtracked swiftly to get a hand to the ball. Delaney saved from McFaul at the other end on 54 minutes after Derek Doyle had done well to keep the ball in on the end line and get his cross in. With the one-man advantage, Pat's enjoyed plenty of the chances as the game progressed and Murphy hit the crossbar on 68 with an audacious effort following a short pass from North. 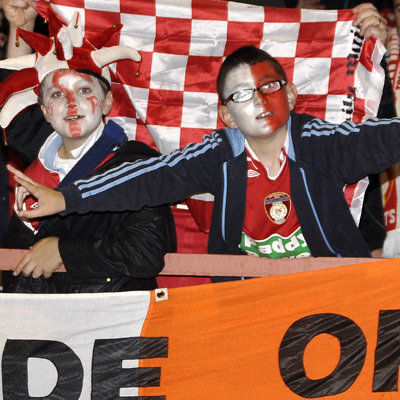 However, Shels kept plugging away and were back on level terms on 72 minutes, courtesy of some poor Saints defending. Delaney's long ball took a touch off Hughes' head and continued into the danger area. Pat's failed to clear their lines and the ball came back to Hughes who buried a superb shot low into the bottom corner at the Ballybough end of the ground.